Start off your visit on the 24th (Fri): Head underground at The Golden Temple, don't miss a visit to Sigiriya World Heritage Site, and then make a trip to Pidurangala Rock. To see traveler tips, more things to do, other places to visit, and other tourist information, read Sigiriya tour planner. Rome, Italy to Sigiriya is an approximately 19-hour flight. The time zone difference when traveling from Rome to Sigiriya is 4 hours. Wrap up your sightseeing on the 25th (Sat) to allow time to travel to Galle. We've included these beaches for you: Jungle Beach and Hikkaduwa Beach. Venture out of the city with trips to Mirissa (Dolphin & Whale Watching & Mirissa Beach) and Bentota Beach (in Bentota). The adventure continues: enjoy the sand and surf at Unawatuna Beach, stop by Gekko, pause for some serene contemplation at Dutch Reformed Church, and head outdoors with Galle Fort. To find other places to visit, traveler tips, maps, and tourist information, go to the Galle vacation planner. Do a combination of flight and train from Sigiriya to Galle in 3.5 hours. Alternatively, you can drive; or drive. 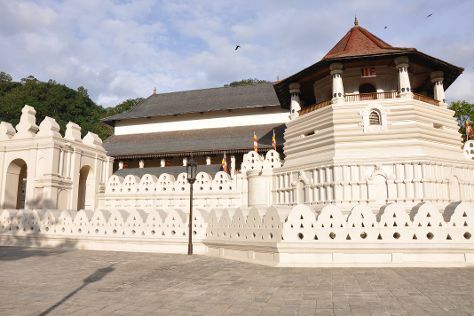 Finish your sightseeing early on the 1st (Wed) to allow enough time to drive to Kandy. Change things up with these side-trips from Kandy: Pinnawala Elephant Orphanage (in Pinnawala) and Millennium Elephant Foundation (in Kegalle). And it doesn't end there: admire the landmark architecture of Temple of the Tooth (Sri Dalada Maligawa), relax and float downstream with a rafting and tubing tour, take in nature's colorful creations at Royal Botanical Gardens, and examine the collection at Raja Museum. For more things to do, photos, where to stay, and tourist information, read our Kandy travel itinerary planner. Drive from Galle to Kandy in 3.5 hours. Alternatively, you can drive; or take a train. In March, daytime highs in Kandy are 37°C, while nighttime lows are 28°C. On the 4th (Sat), you're off tohome.